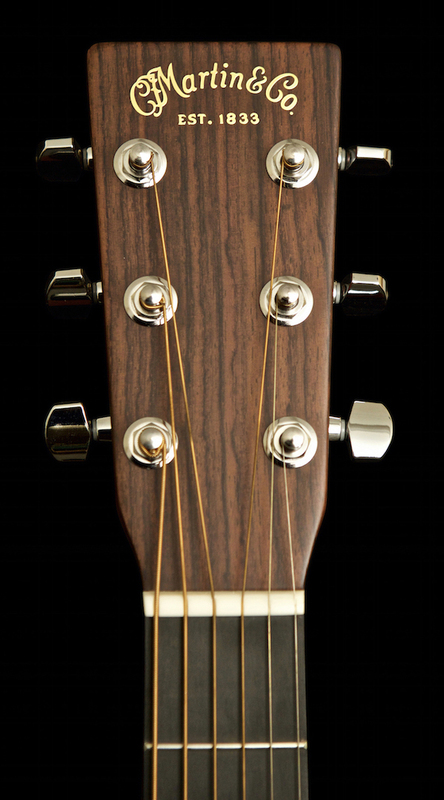 Mahogany Blocks and a Dovetail Neck Joint with an Old Style 18 Rosette. 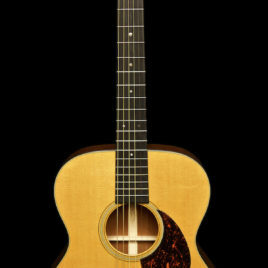 A modified V neck, Tortoise shell binding with a 25.4" Scale Length. 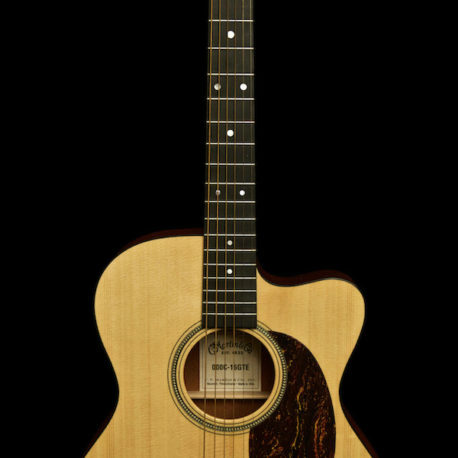 A fabulous fingerstyle guitar that's new and includes the full Martin Guitar Factory Warranty. 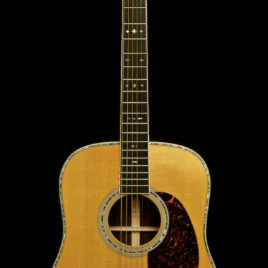 A member of Martin's Vintage Series acoustic guitars, the D-18V Dreadnought features many of the characterisitics of Martin's pre-World War II instruments - old-style squared headstock, rosewood headplate, modified V profile-shaped neck, period fingerboard inlays, scalloped bracing, beveled tortoise colored pickguard, vintage butterbean tuning machines, belly-drop style bridge, and Gieb style case and more. 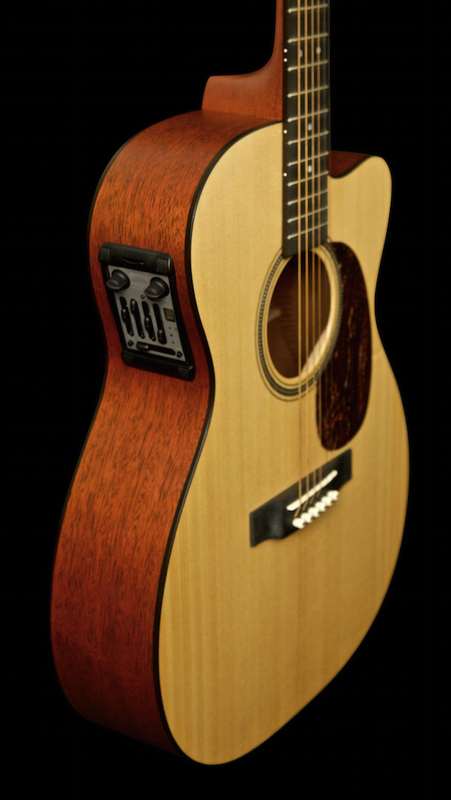 The top of the D-18V is made of solid Spruce, while the back and sides are of solid Mahogany. 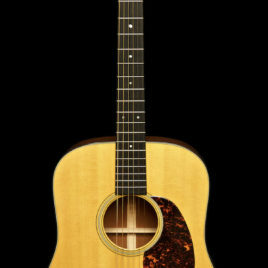 The D-18V features an ebony fingerboard and bridge. 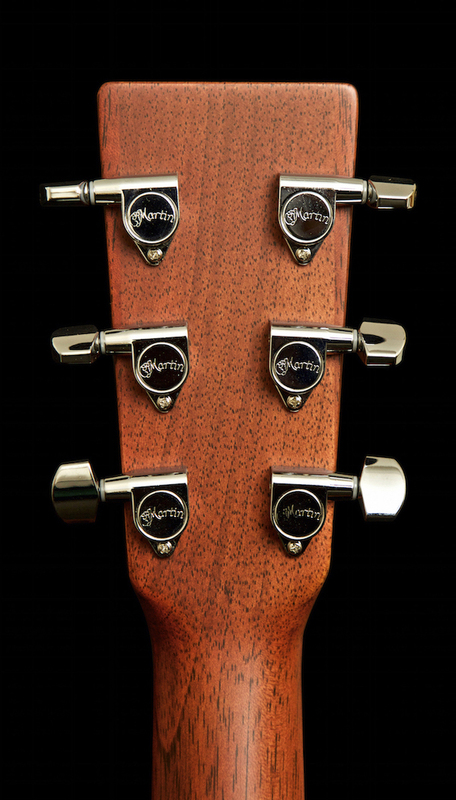 Other vintage touches to this beautiful instrument include old-style abalone position dots and open-geared chrome tuners with butterbean knobs. 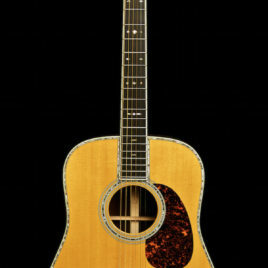 Martin D-41 Special (2011) —SOLD! !